Social Bookmarking Websites are an extremely important resource for boosting traffic to your website and building your business. Twitter – An online social networking service which allows users to send “Tweets” of up to 140 characters. Handles over 1.6 Billion searches per day. Pinterest – A pinboard-style sharing website that allows users to “pin” photos and links they find useful and interesting. Reaches 85.5 Million unique visits per month. StumbleUpon – A discovery engine that recommends content to its users. It allows users to rate web pages and photos that are personalized to their intersts. Reaches over 15 Million new visitors per month. Reddit – A social entertainment website which allows users to submit content in the form of a link post. Users then vote on the content so that it may be ranked. Reaches over 16 Million per month. Buzzfeed – Features social content provided by users and is a platform with which users can share the content with friends. Receives around 14.5 Million unique visits per month. Delicious – A social bookmarking site for storing, sharing and discovering web-bookmars. Has over 500 Million bookmarked URLs. Users can tag bookmarks to share with others. Digg – A social news website which allows people to vote content up or down. Receives an estimated 3.08 millions unique visits per month. Google+ – A social networking and identity service which allows users to share links, photos, and likes with other users. Many websites now have a Google+ “like” button so featured content can be added easily. Has over 235 active users per month. 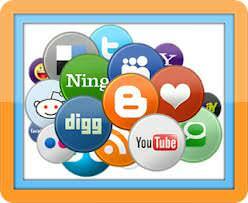 Diigo – A social bookmarking website which allows users to bookmark and tag web-pages. Allows users to highlight any part of a webpage and attach sticky notes which can be shared with a group or linked elsewhere. Receives over 1.2 million unique visits per month. Blogger – A blog publishing service that allows private or multi-user blogs. Users can then share and comments on the blog posts. Reaches over 1.7 million users per month. I am getting posts titled AUTO DRAFT, even when published and now articles in pages are being titled AUTO DRAFT. Displays the Alexa traffic rank in the sidebar of your blog via widget interface or anywhere else via function call. The Plugin comes with 2 different layouts. This plugin is open source and any one can freely download this wordpress plugin. Alexa Rank Widget WordPress plugin will get show options for showing the Alexa rank in side bar. 1. Preview of Alexa Rank Widget with image and rank with squre box. 2 Preview of Alexa Rank Widget with image and rank with verticle box. 3. The first and the most important step is to study the website for which you are going to start your work The next step is to have your titles and description ready. Create as many sets as you would like to in advance and have it in in an excel file. This will speed up the submission process. 5. The next important step is to select the category in which you are going to submit your site because if category is not right then there are very less chances of approval, that’s why studying website is very important which will make you understand what services or information your website is providing.Use Free Auto fill form tools available on Web so that you can increase your directory submissions speed. 7. Now go to any one of those sites and start submitting your site to Directories.Do directory submissions as many as possible and on every keyword.When you have large number of keywords then do at least 30-50 submissions for every keyword. You can change the number according to the keyword because some keywords require more submissions than other because of the competitiveness. 8. Directory submissions are of three types:RegularFeaturedRegular with ReciprocalRegular submissions are Free of Cost.Featured submissions are paid submissions. Reciprocal link exchange will be taking place mostly in between two sites and sometimes in between a normal site and a directory site. 9. Paid submission is quickly accepted if your site is good and you don’t have to wait months for someone to review your site. But the question arises why to go for paid ones when you can get back links free of cost, that’s why most of Seo optimizers opts free submissions rather than paid ones. 12. Directory Submission looks simple process but not easy as it is fruitful only when your links are getting Approval and ultimately you get more back links. Google updates toolbar PageRank about four times a year. They updated it in August, and now they’ve updated it again (8th November 2012). Some sites are going up, and some are going down, but in both cases, webmasters are noticing.